From the Jetsons to R2-D2 to the more recent Black Mirror, science fiction has consistently helped us imagine a future where humans cohabitate with robots. And nowadays, with robots doing everything from vacuuming our homes to delivering our room service to helping keep us healthy, that “sci” isn’t so “fi” anymore. In fact, according to a new market research study released by Silicon Valley business consulting firm Frost & Sullivan, personal robots are set to open up a $18.85 billion market opportunity as early as next year. The study pinpoints several recent key technological advancements that are driving the forecast, including AI and machine learning, gesture control, and natural language processing, which are allowing personal robots to become more intelligent and more autonomous, opening up a wider range of applications. “As robots become more intelligent, they will be able to sense their surroundings, avoid static and dynamic objects, understand emotions, and communicate, which will allow them to seamlessly move about in congested and crowded spaces such as homes,” the study states. One of the key sectors potentially benefiting most from the advancement of personal robots is healthcare. By 2050, nearly 1.6 billion people across the world will be aged 65 or older. In comparison, the number of Canadians 65 and older by 2050 is projected to be more than 11.6 million. The study points to advancements in AI in enabling the ability for healthcare robots to assist with elderly care at home as well as in hospitals. 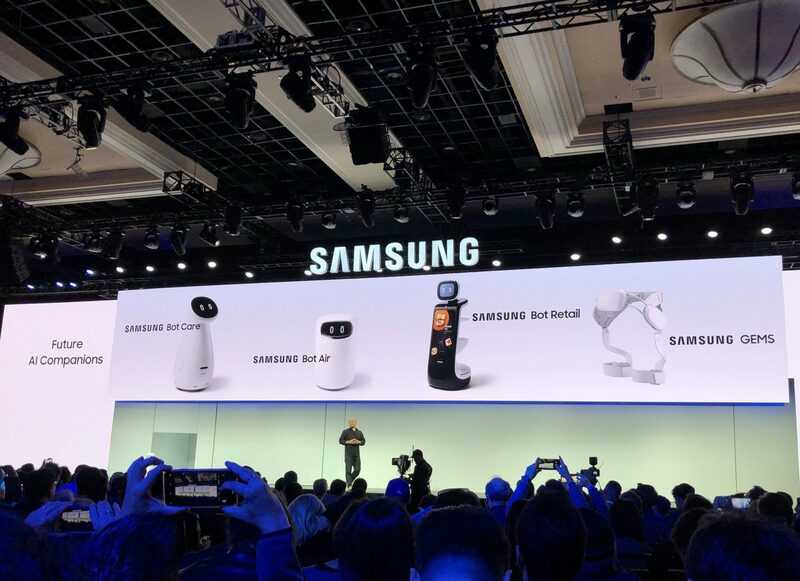 Perhaps one of the most realized and consumer-friendly examples of health-care robots we’ve seen is Samsung’s Bot Care, showcased at this year’s Consumer Electronics Show in Las Vegas. Designed as a full-service health-monitoring robot, Bot Care will be able to monitor your breathing as you sleep, remind you to take your meds, and calculate your vital signs (such as heart rate) by putting your finger on a sensor on the bot’s super-cute face display. Info could then be shared with health care professionals and family members remotely. At the moment, though, Bot Care is only a Samsung research concept with no scheduled release date. Rival electronics maker LG is also getting in on the robot helper act, too, with its CLOi range of robots. Both LG and Samsung’s lines of service robots are designed for use in industries such as airports, hotels and retail, making the space interesting to watch indeed.